In the series of ragas of the Kalyan family, perhaps the most heard but least known is a short and elegant raga called Nand (pronounced: Nun-d , not like the mathematical boolean operation NAND) , variously called Anandi or Nand Kalyan. The reason it is very well heard has to do with a very famous film song called “Tu Jahan Jahan Chalega” (translation: wherever you go…) from the Indian film Mera Sayaa (1966) (translation: My Shadow). In this movie, master music director Madan Mohan put Nand to good use. 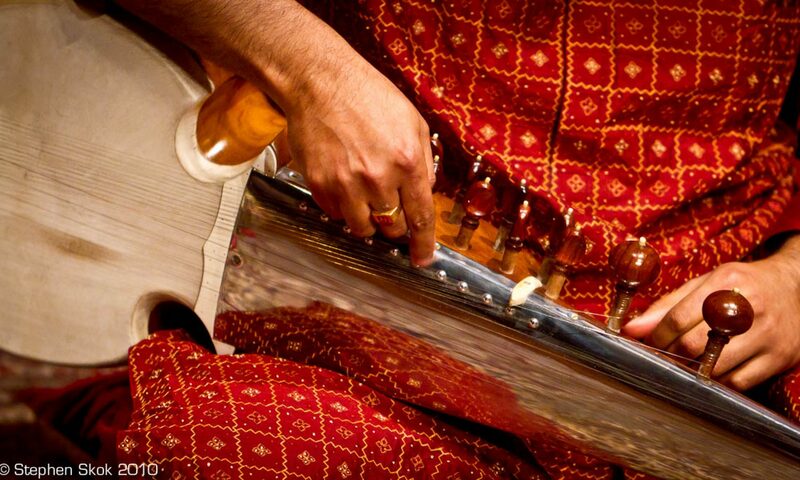 Hence hundreds of millions of Indians have heard the raga Nand, but hardly anyone would know what this is. Nand expresses a similar personality to most of the Kalyan ragas – an elegant, eloquent raga, kind of like a handsome person with a sweet voice. It’s appeal is ethereal, and very fragile. Tinker with the notes too much and you’ll land up destroying the mood and the raga will run away !! Nand is not very often heard on the sarod, not quite sure why. Legendary sitariyas such as Ud Vilayat Khan, Ud Rais Khan and Ud Shahid Parvez have played this raga, as have vocalists.